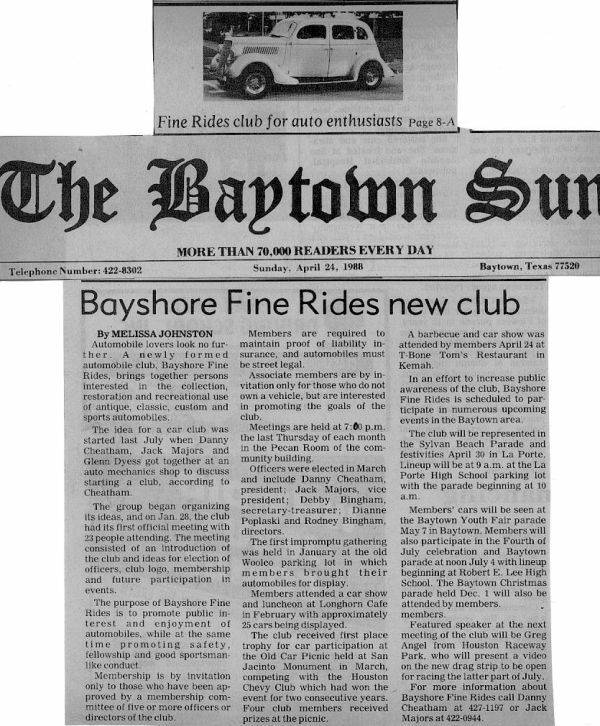 WHAT BEGAN 30 YEARS AGO AS AN IDEA BETWEEN A FEW FRIENDS, HAS GROWN OVER THE YEARS TO BE ONE OF THE LARGEST NON-PROFIT CAR CLUBS IN THE HOUSTON AREA. 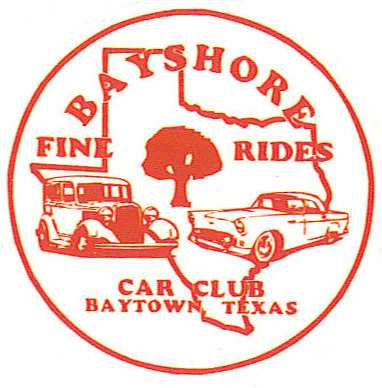 BAYSHORE FINE RIDES CONTINUES TO BE A SHINING EXAMPLE OF WHAT A CHARITABLE ORGANIZATION SHOULD BE. 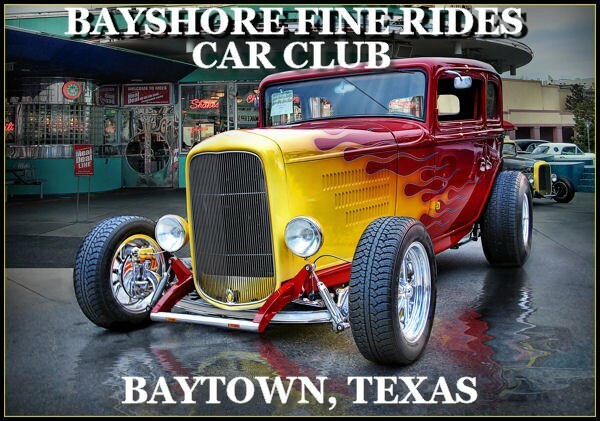 SEVERAL NATIONAL NON-PROFIT ORGANIZATIONS, AS WELL AS LOCAL ORGANIZATIONS, INDIVIDUALS AND FAMILIES IN NEED, BENEFIT EACH YEAR FROM THE PROCEEDS OF OUR ANNUAL CAR SHOW AND MANY OF OUR MEMBERS ATTEND BENEFITS THROUGHOUT THE YEAR TO HELP OTHERS . AND OF COURSE, CRUISIN' TO MANY OF THE RESTAURANTS IN THE AREA! WE LOVE TO HAVE FUN AND WE ENJOY MEETING PEOPLE. WE ARE THANKFUL FOR THE MANY BLESSINGS THAT HAVE BEEN BESTOWED UPON US AND WE ARE PROUD TO CONTINUE TO SUPPORT OUR COMMUNITY AND THE SURROUNDING AREA, AS WELL AS NATIONAL CHARITIES, AS WE CONTINUE TO BUILD UPON THE IDEAS OF A FEW, THAT TOOK PLACE 28 YEARS AGO.